We are really excited to welcome back Ben Bass and Alison Zutshi to our team at The Old Quay House. Ben returns as head chef of Q Restaurant and Alison joins us as general manager. Ben and Alison have both worked here in various guises over the years and we are delighted to have them back on board. Ben began cooking at the age of 13 and went on to train under Raymond Blanc at his restaurant Le Petit Blanc in Cheltenham. 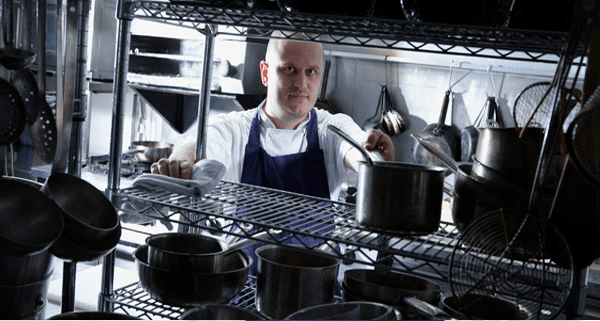 He originally joined The Old Quay House as sous chef in 2002 before taking over as head chef in 2005. In 2011, Ben left to continue his culinary development at Fowey Hall and Lewtrenchard Manor in Devon. Our new head chef Ben Bass has a French classical style of cooking and trained with Raymond Blanc. His menu favourites include Fowey river oysters, local scallops and West Country meats and cheeses. Ben’s style of cooking works perfectly with our location here on the estuary. It is classical English food with a French twist. Ben also has a real appreciation for local produce so you can expect lots of local favourites such as Fowey mussels and West County meats on his menu. Outside of the kitchen, Ben also works closely with Fowey Community College and is regularly invited to demonstrate to the students who have a strong interest in cooking. For the last few years Alison has been running her own sailing business in the Caribbean. She also previously owned the Toll Bar restaurant in Fowey so knows the area well. On joining us here, Alison said: “I think this is the fourth time in total that Ben and I will have worked together at The Old Quay House. Fowey just seems to draw you back, as it does with our guests actually. A lot of people visit and want to live here.